In this area of the Apparel Search fashion brand directory, you will find men's fashion brands from leading apparel companies and fashion designers. On this particular page, you will find information regarding men's clothing with the Pantagonia brand. You are welcome to utilize this section of our clothing guide to review Pantagonia news, Pantagonia blog posts, Pantagonia photos, and more. Please understand that you may run into a few photos or a tad of information that does not actually pertain to the men's Pantagonia fashion brand. Unfortunately, no search technology is absolutely perfect. We will continue to do our best to bring you as much information about the men's Pantagonia fashion collection as possible. The company was founded by Yvon Chouinard in 1973, and is based in Ventura, California. 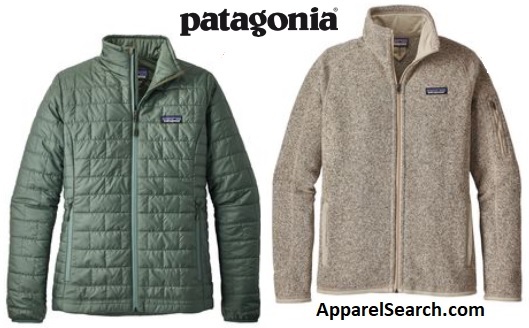 Patagonia, Inc. is an American clothing company that sells outdoor clothing for various adventures. Its logo is the skyline of Cerro Fitz Roy in Patagonia. Yvon Chouinard, an accredited rock climber, began selling hand forged mountain climbing gear in 1957 through his company Chouinard Equipment. He worked alone selling his gear until 1965 when he partnered with Tom Frost in order to improve his products. In the 1970's, collared shirts were designed and implemented into his merchandise line and quickly became the primary product sold. In 1989, Chouinard Equipment filed for bankruptcy. Yvon Chouinard later sold off the climbing gear side of the business and retained the profitable soft goods (clothing) division of the company which had already been rebranded as Patagonia. Learn more about the men's Patagonia clothing brand. If you have changed your mind and do not wish to research the brand Pantagonia, you can use the search engine on this page to find another clothing label that may be of more interest. Apparel Search is a leading guide to fashion, style, clothing, glam and all things relevant to apparel. We hope that you find this Pantagonia page to be helpful. The outdoor adventure clothes you are wearing today is most certainly in style for todays experiences.